and at a price that won't break the budget! *includes presentations from the list of PDF presentations below PLUS industry white papers AND presentations from the specialty sessions. **If you are a current TTRA member, please be sure to log in before making your purchase so you receive your member discount. To purchase, simply click the button below and complete the order process. By the next business day, you will receive a link to the 2019 Outlook. 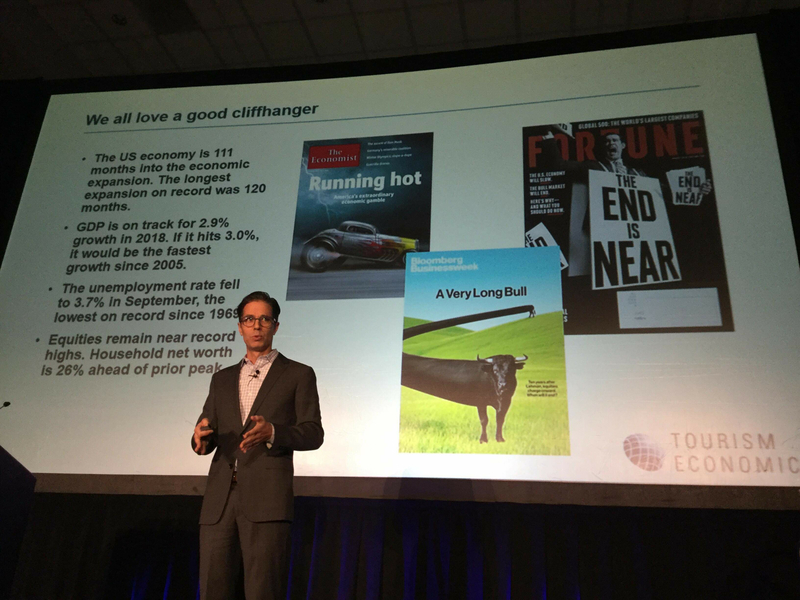 OUTLOOK FOR 2019: The Outlook for 2019 is a compilation of presentations from the 2018 Marketing Outlook Forum. INDUSTRY WHITE PAPERS*: Another great benefit is access to the Tourism Industry White Papers. SPECIALTY SESSIONS: A compilation of presentations from the specialty sessions held at the 2018 Marketing Outlook Forum including the DMO Roundtable, the Co-Op Marketing session, and the Emerging Leaders session. What Can We Do to Make The U.S. More Competitive in International Markets? Don't Miss Out Next Year! Any questions, please contact info@ttra.com.